Pink Elephants : Free-Spins with Collection Feature that Boosts High-Pay Wins! Pink Elephants is a Thunderkick online slot offering 4,096 ways to win on alike symbols aligning consecutively in adjacent reels. Cartoon illustrations of a Pink Elephant and three (3) Mole-like creatures emerge as high-paying images in a 4-row x 6-column grid . The Pink Elephant is of course the highest paying, awarding 1x the Bet on as few as two images. Greater still on three, four, five or six Pink Elephants. The longest of those winning arrangements, garners a prize equivalent to 2.4x, 4.5x, 6.5x, or 10x the Bet. 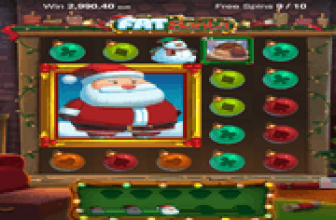 Take note of those payouts as the best opportunity for reaping those lucrative rewards is during the Free-Spins Round. The Bonus Game has an Elephant Collection Feature designed to enhance reels with Pink Elephant symbols and grant additional Free-Spins. To increase players' chances of activating the free round, the base game reels occasionally release a group of Mystery Scatter Symbols. 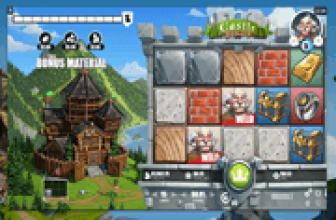 If enough Scatter Symbols come into view, the feature instantly activates a round of free games. All symbols, including the low-win A, K, Q, j, 10 and 9 totems may appear as stacked images in any reel. Aside from single-tile images, icons sometimes emerge as 2 to 3–tile high totems, or entirely as full-reel stacked symbols. Actually, the Mystery Symbol corresponds to the Peanut image representing the Bonus Game Scatter Symbol. Take notice of the Bonus Tree on the left side of the screen, as it occasionally brings out a Scatter Bonus Meter. The Bonus Tree works mysteriously because it spawns Peanut Scatters in random numbers; anywhere between 1 and 5. Three or more will give Pink Elephant slot players instant entry to the Free-Spins Bonus Round. More is better, because the number of bonus spins awarded depends on the number of Peanut Scatters in view. Three, four, five, or six Peanut Scatter Symbols, occurring simultaneously as outcomes of a paid spin, or of the Mystery Scatter Symbol, correspondingly activate 7, 11, 15, or 19 free-spins. This Mystery Scatter Symbol though, occurs only during base game spins. Peanut Scatter Symbols continue to appear during the free round. Here, bonus game players need only to land on two Peanut images in order to activate 3 additional free-spins. Four, five, or six of the Bonus Symbol, correspondingly add 5, 7, 9, or 11 extra bonus turns to an ongoing round. Another source of free-spins rewards is the Pink Elephant Collection Feature. The reward is awarded in conjunction with the Pink Elephant transformations of the three Mole-like Totems. Pink Elephant Collection Feature – Icons of the three Mole-like Totems appear outside of the slot screen. Each totem charges up with every Pink Elephant icon coming into view. It takes ten of the titular symbol to fully light up each Mole-like image. Fully charging one will then carry on with a sweeping conversion of the corresponding Mole-like creature into Pink Elephants. The Bonus Round will continue collecting Pink Elephant images until all free-spins have been played; or until all Mole-like totems across the grid, have been replaced by Pink Elephants. Once accomplished, the only high-paying icon coming into view with every bonus spin, are Pink Elephants. To increase chances of attaining such objective, every fully charged Collection Meter adds one additional free-spin to the round. 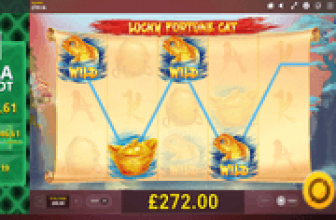 Pink Elephants online slot takes players to a bonus round in which all medium pay symbols may eventually transform into the highest paying Elephant Icon. A Pink Elephant Collection Feature works toward a sweeping conversion of every Mole-like totem. As more Pink Elephants emerge as outcomes of bonus spins, the greater the possibility of hitting multiple Pink Elephant wins in the remaining spins.